Several hundred years ago there was said to be a strange and fierce sea creature that attacked ships. The Water-Owl or Ziphius had the body of a fish and a head of an owl with huge eyes and a beak-like a sword. Today we think the animal behind these stories is Cuvier’s beaked whale or Goose-beaked whale. This deep water whale is the most widely distributed beaked whale species. We think of our oceans as a silent underwater world. In reality, the ocean is full of noise. Diving on any given day, anywhere in the world, you might hear fish chomping, waves crashing, mammals calling to each other and even rain falling. Sink a hydrophone in the ocean and discover a marine jungle of animal noises from the tiniest shrimp to the largest blue whale. Marine life depends on this soundscape for mating, finding food, navigation and avoiding predation. This ocean cacophony was all natural until the advent of the industrial revolution when human-made sounds from blasting, drilling, military, and shipping began drowning out these important biological cues. To search for oil and gas, arrays of airguns are towed behind ships and release intense blasts of compressed air into the water–think about a dynamite explosion underwater every 10 seconds for days and sometimes months on end. 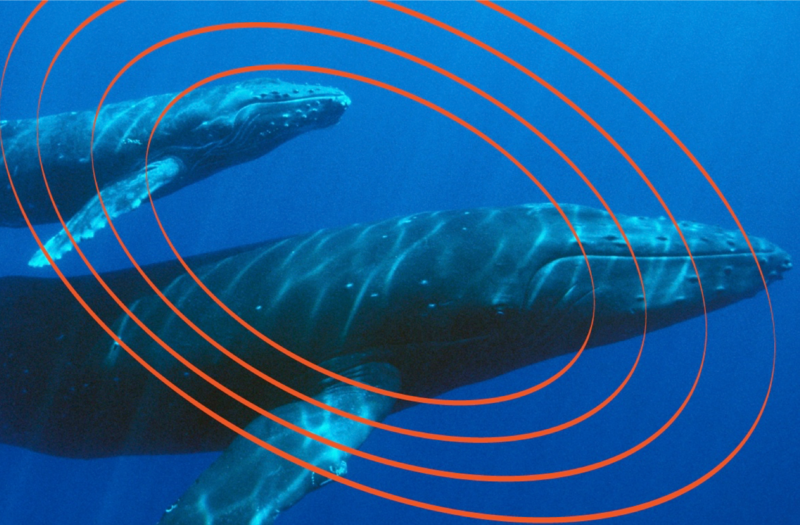 Airgun noise can displace and confuse whales, dolphins and porpoises by interfering with their ability to communicate. Recently, the Obama administration moved to prohibit lease sales for testing in the Mid and South Atlantic for 2017-22. That decision does not halt seismic permitting in the Atlantic. The federal government will likely propose opening up Atlantic waters for oil and gas exploration with airgun surveys, affecting many marine mammal species, including the endangered North Atlantic right whale. According to the Department of Interior’s own estimates, the proposed seismic airgun array blasting in the Atlantic could harm up to 138,00 whales and disrupt their behavior over 13 million times. Take action to stop ocean noise. Tell your elected officials that you do not want them to support seismic testing. Use this template to email or mail your Senator to stop ocean noise. Use this link, Find your Senator or Congresswoman/Congressman for the address. Sink a hydrophone in the ocean and discover a marine jungle of animal noises from the tiniest shrimp to the largest blue whale. Marine life depends on this soundscape for mating, finding food, navigation and avoiding predation. This ocean cacophony was all natural until the advent of the industrial revolution when human-made sounds from blasting, drilling, military, and shipping began drowning out these important biological cues. Imagine, if you will, not Rachel Carson’s famous silent spring, but the opposite. Imagine if there was so much human-made noise in the spring that it drowned out all of the birds’ calls. What would happen to those birds? For marine life, the intrusion of these sounds in the mix is the equivalent of being asked to wear a blindfold. 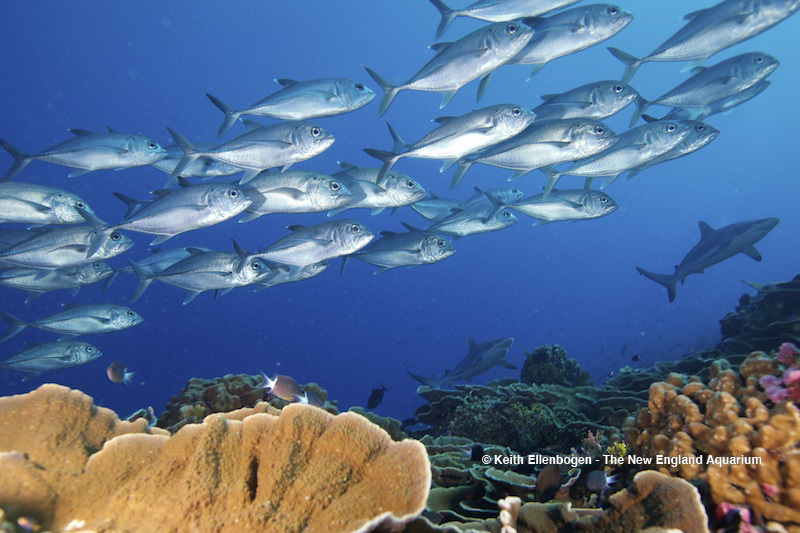 About half of all fish species are estimated to emit sounds. These sounds help fish find spawning grounds and function like the call of a bird does, as specie specific signatures. 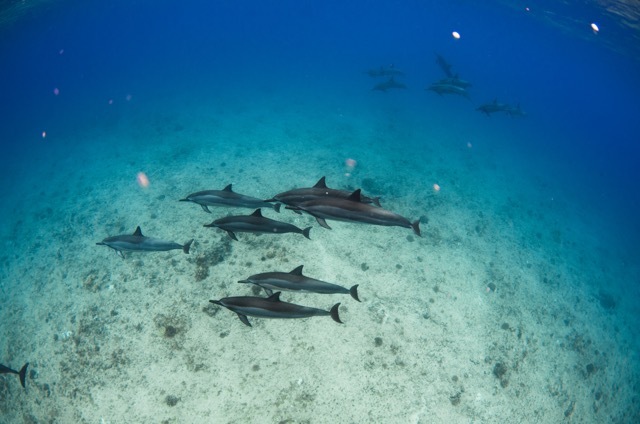 By understanding and tracking these sounds, scientists can also identify important spawning grounds in the oceans, track numbers of individuals in a species, and by doing so more strategically protect these important spawning areas. Scientists have discovered that each whale population has its own “language,” which is understood only by individuals of the same population. For a population that migrates hundreds of miles of ocean basin from feeding to mating grounds, most whales depend on hearing these songs to find other individuals to accurately navigate. Impeding this important whale communication by drowning in human-made sound has implications for fisheries. Recent science has found (perhaps counter-intuitively) that increasing the population of large whales might help to increase the number fish in the ocean. Dolphins are thought to have an individual signature whistle, invented as a calf and kept throughout its life. They use these whistles to call to one another and seem to be able to remember the calls of other individuals for decades. No other species other than humans and dolphins has been shown to have this capacity. Noise has always been a driver of evolution and adaptation in the sea, providing “acoustical niches” inhabited by different species. Scientists speculate that the ocean was actually noisier in pre-whaling 1800, before the addition of human generated noise. This speaks volumes about the biomass of a “healthy” ocean pre-1800 as compared to now. There is no place to escape from the intrusion of human-made sounds in the ocean. Sounds from shipping were recently recorded at the very deepest part of the ocean: the Mariana Trench, at 10,000 meters under the sea. Blog contributor Laura Parker Roerden is Executive Director of Ocean Matters and is on the board of Women Working for Oceans. 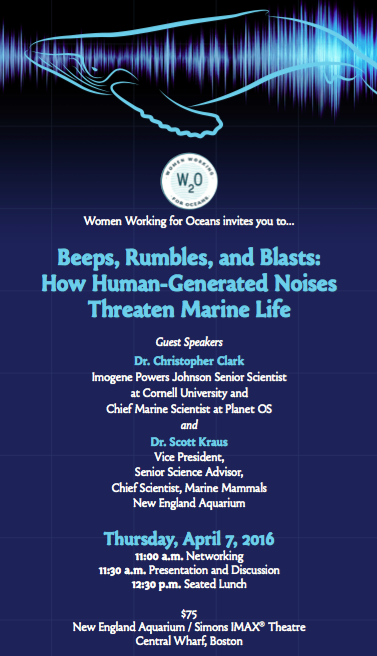 On April 7th, W2O, along with the New England Aquarium will present Beeps, Rumbles, and Blasts: How Human -Generated Noise Threaten Marine Life. Scientists Chris Clark and Scott Krauss will educate us about how shipping, seismic testing and other human generated noise create a cacophony of sound drowning out the voice of whales, dolphins and all marine life communicating to each other during feeding, migration, breeding, and while detecting predators.